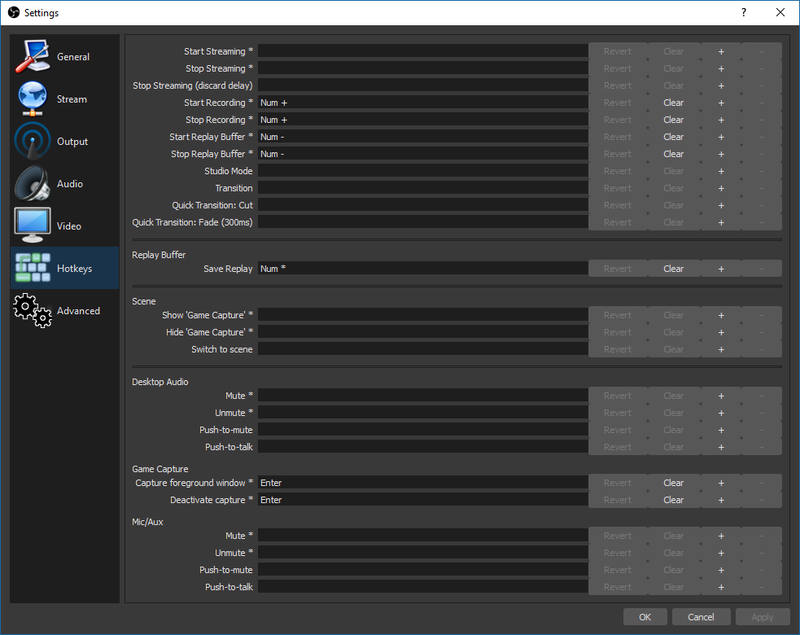 These are the settings I use to record Squad game play using OBS. The purpose of this guide is so that others can use the same settings in order to facilitate creating video content by combining videos from multiple players to make a single, synchronized video with multiple points of view. 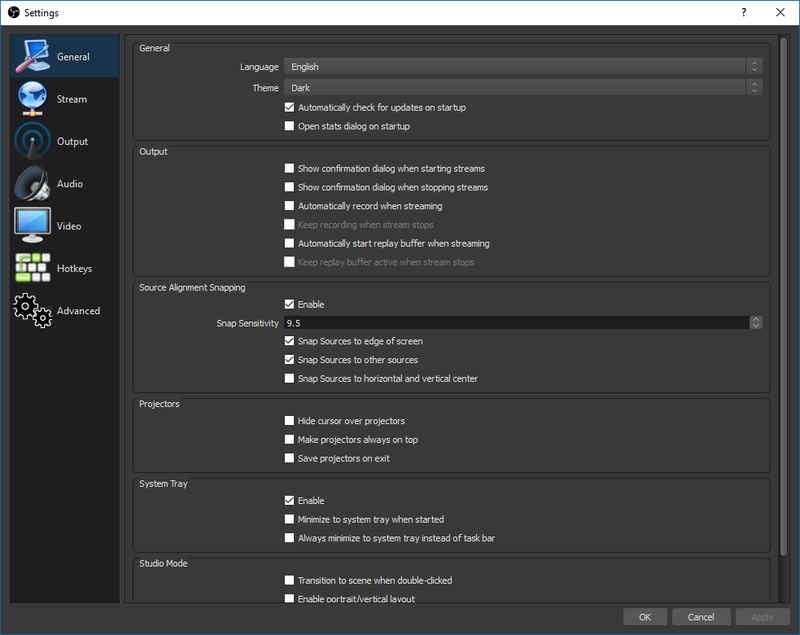 That, or just if you're interested in using OBS instead of ShadowPlay or other recording software but you've been intimidated by the features available in OBS. Once you've installed OBS, please make sure you have it set to run with Administrator privileges. First up is the General Settings dialogue. Not sure if the defaults are shown or not, but these are my settings. Feel free to adjust as you see fit. There is nothing in this tab that impacts recording of video or audio. 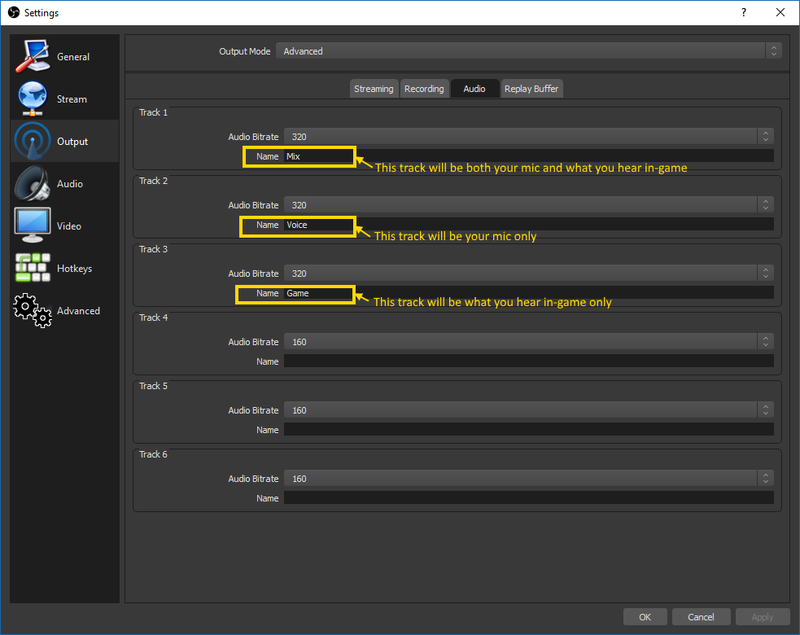 Alright, the rest of this will be devoted to altering your settings to record video and audio of your game play, configuring the audio tracks, the quality of the recordings, etc. I am going to show my settings. What is most important, if you intend on sharing video with others to make a video using recordings from multiple players is to get the Audio tracks set up right as well as the resolutions of the video recording. The bitrates can be changed to increase or decrease quality of sound or video, but just remember the higher you set your bitrate, the larger the files become as the volume of data recorded increases. 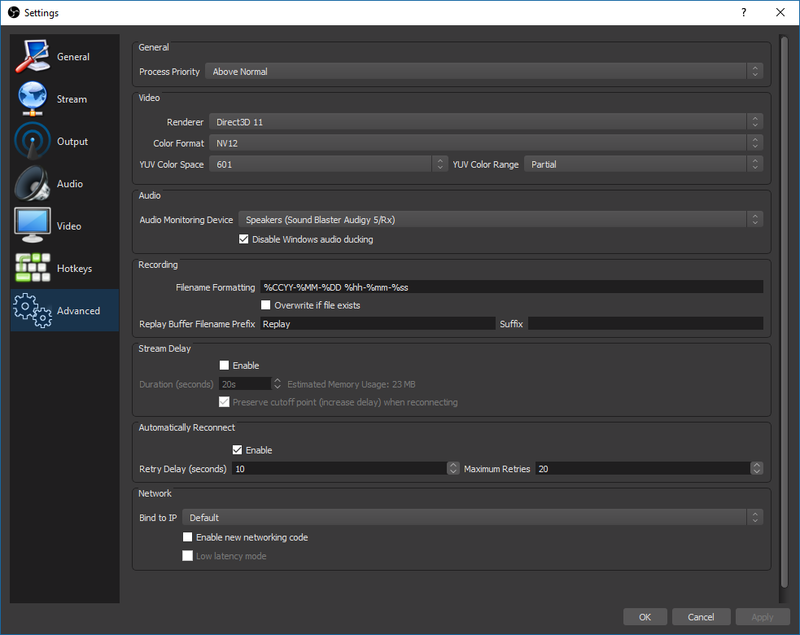 Also, the keyframe settings should be the same as it will help synchronizing the videos a lot easier to the guy editing the video. Here we're going to set up our general recording information. Obviously some of this is going to be specific to your PC, such as the Recording Path setting, how you want to generate file names, etc. I would suggest following the settings I have for everything except your Recording Path. Make sure you check Audio Track 1, 2 & 3 - we're going to set these up in a minute. This should be pretty self-explanatory based on the image. This is where we will be naming what the three audio tracks we've elected to record on. Make sure you set the Audio Bitrate to 320. Names of these tracks are not really important, but making sure that what you record on each track matches everyone else's settings is, so changing what each track is to record will screw up any attempts to use your video with other videos that have their tracks set up differently. 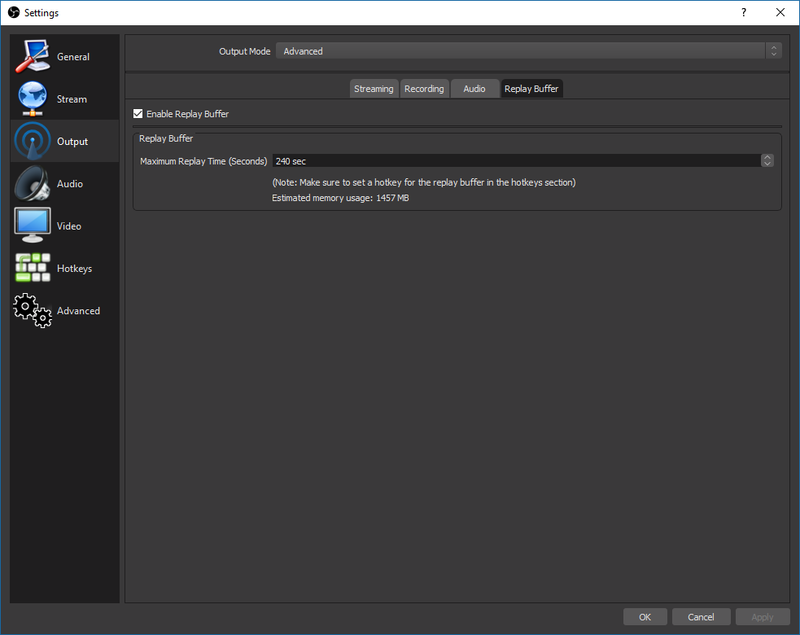 The Replay Buffer in OBS is identical to what ShadowPlay does in that it stores video in a rolling cache for the time period you specify and dumps it to hard disk upon command. 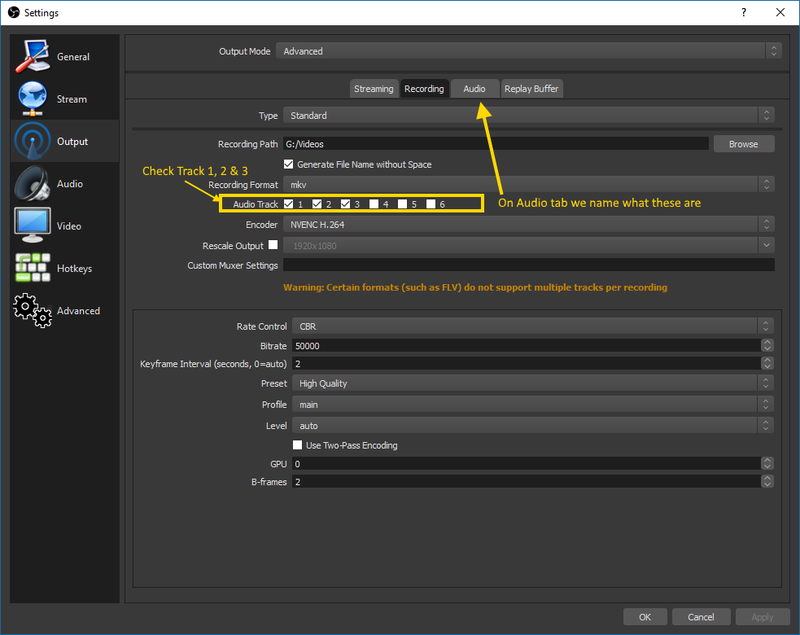 You enable it and establish how many seconds you want OBS to buffer in this cache. Again, the larger the number, the more impact on your game it is going to have as OBS is running in the OS whereas ShadowPlay does it's buffering on the video card and doesn't really impact performance on the CPU. My setting is for 6 minutes. Please note: Replay Buffer is not enabled by default, you turn it on and off. We will set up hotkeys for turning it on and off, as well as dumping the buffer to disk soon. Be patient. Just copy my settings, please. Although, if you want to establish push-to-talk for mic, etc, this is where you do it. If you don't check those boxes, it will record everything, like your wife yelling at you for playing games and your kids wanting the car keys from you. You know, the kind of stuff everyone wants to hear. 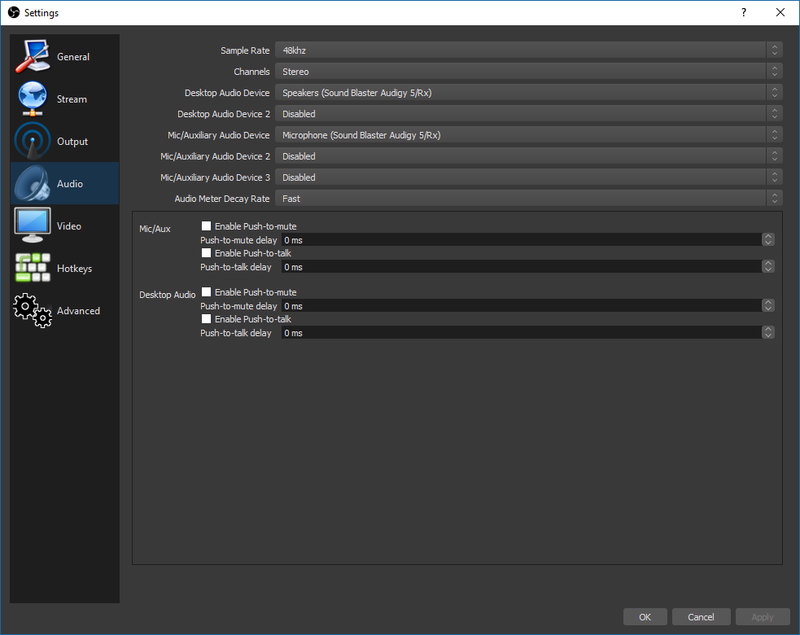 On a more serious note, the Desktop Audio Device is what OBS will use to record audio from on your "Game" track (see above), and Mic/Auxillary Audio Device will be what it uses to record on your "Mic" track. Make sure those are set up right. Video tab. This one is set up to allow you to output at a different resolution that what you record at. 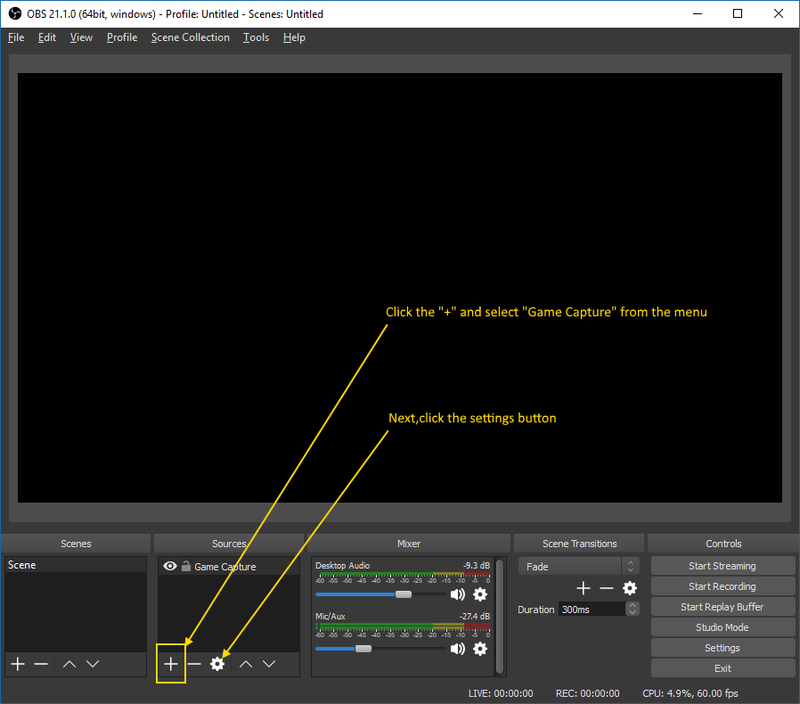 Base (Canvas) Resolution is what you are recording at, so it should be the resolution your game setting is at. If you want to output it at a different resolution, set that in Output (Scaled) Resolution. I've got mine set the same because why make life difficult? Combining videos from different resolutions shouldn't be that big of a deal. Hotkeys. I've got mine set up off of the number pad on my keyboard to keys that aren't used by Squad. You can set yours to whatever you want. I do want you to notice that, as I discussed above, there are hotkeys to start and stop replay buffering as well as dumping the replay buffer to disk. There are also keys to just starting (and stopping - same key) recording everything that happens as it happens. Obviously this is going to make for a pretty large file, so use at your own risk. 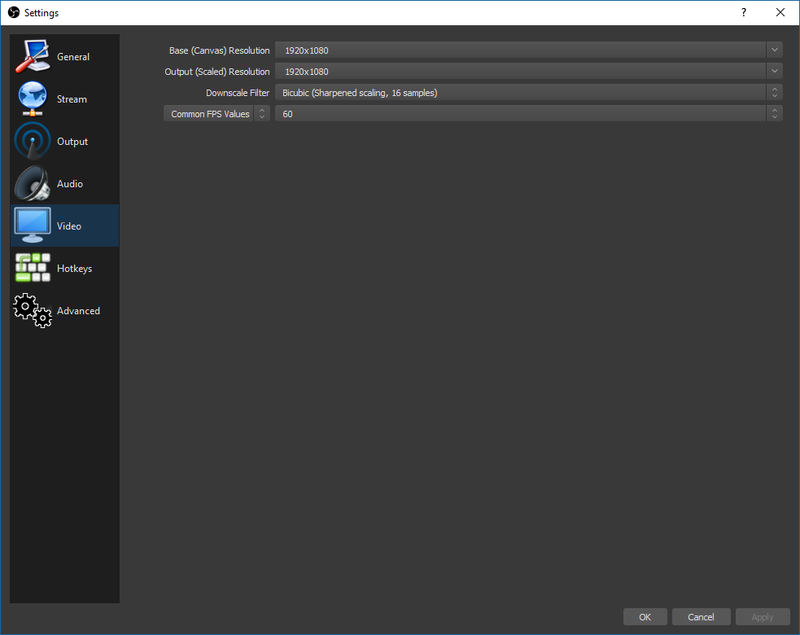 The Advanced tab is used to do things like specify your file name format, OBS process priority, etc. Just copy my settings if you don't feel adventurous. One thing worth noting, if everyone uses the same file naming format with timestamps on the file name it will be a hell of a lot easier to sync up the action - save you a lot of time watching everyone's videos to find the one you're looking for. 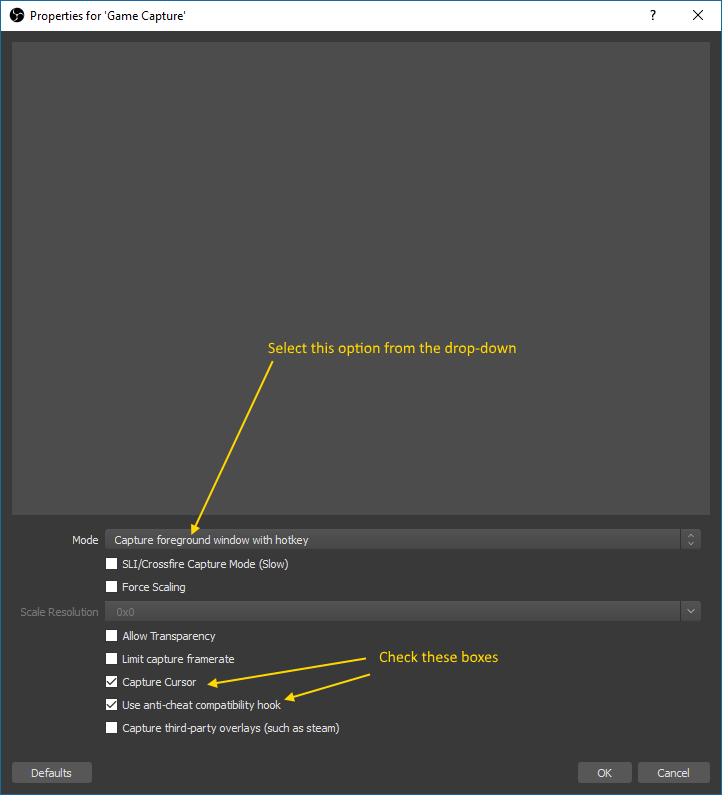 Advanced Audio Properties - found under the Edit menu. This screen is where we bind the various audio inputs (mic or game) to a specific track or tracks (which we set up earlier). I think the image is pretty self-explanatory. Lastly is the order of things: Always start OBS first, then Squad (or whatever game you want to record) second. If you don't run Squad in full screen mode you might need to set up a hot key to force it to capture the foreground window (I have ENTER) bound to that. Just double-check and make sure that it's grabbing the output from Squad, as it will show you what it's capturing once it and Squad are running. So, that's it in a nutshell. If anyone has any questions, post them below and I'll do my best to answer them. Last edited by disposableHero; 04-01-2018, 11:09 AM. I recently started goofing around with trying to record some Squad, but I'm having a ton of lost frames in the end product. I'm using basically the same setup as listed and I've recorded some gameplay in the past of Doom 2016 with little issue, but with Squad the video file ends up with a stuttery frame rate even though the game itself was running fine. Any ideas? Probably because Squad is currently very CPU bound, and OBS consumes a lot of cycles as well. Together, it's CPU pandemonium. It really depends on your CPU. Squad is very CPU intensive and 6 cores is recommended if you intend to stream or record. An older quad core, core i5 will struggle on most recording settings outside of 720p 30fps. Even an older quad core, core i7 will have difficulty achieving a 60 fps recording. A newer 6 core, core i5 will still have difficulty achieving 1080p 60 fps while a new 6 core, core i7 will be able to do it. Alternatively, a Ryzen 5 6 core or Ryzen 7 8 core will be able to achieve 1080p 60 fps recordings no problem. "Its easy to argue about issues from afar. But until you have experienced the issue first hand, you have not seen all the facts." I'll have to check my spec's but I had it built a couple years ago and I'm at work, but it's no push over. I should test trying to record another Unreal engine game and see if there's something there. Edit: Actually, I was able to look up my specs. I'm running a i7-7700K 4.2 GHZ with 16GB DDR4 RAM. It's not exactly top shelf, but I suspect that's enough oomph to do some video capture. That should get you 1080p 30 fps or 720p 60 fps. Its a quad core.